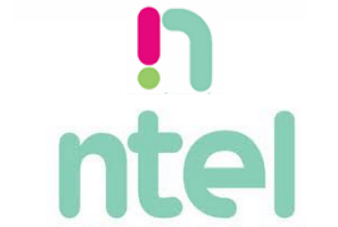 Many Ntel network subscribers have been complaining recently of poor Ntel network in their location and I bet you that they are not pleased with the latest development that they are currently experiencing. Some have reported network disappearance from their Ntel line for close to 2 weeks while others that are managing to get some signals have complained of poor network signal that have hindered their browsing and other online activities. Unlike when Ntel recently launched, subscribers have lauded Ntel network operator effort for bringing cheap and fast 4G LTE network to their domain and they did enjoyed fast Ntel network at the on-set, but right now it is complaints of poor ntel network signal all over the place. On our own part, we decided to carry a sort of survey and we found out that it is almost like a general problem and while those that have tabled their matter have gotten their network issues resolved, those that don’t know where to get help from have remained with the network challenge and no solution on sight seems to be coming their way. If you are also currently experiencing Ntel network challenges on your current location, then this is the right time to also table your issue to the right channel and get help like others. We understand that some have tried to reach ntel on their customer care helpline while some have used ntel email channel to lay their complaints and all to no avail. For those experiencing serious ntel network issues, what you should do is to visit Ntel Twitter handle which is @ntelcare and drop the type of network issue that you are currently facing and you will get a prompt response and get your network challenge fixed. Does The Latest Airtel 4.5GB At N2000 Zaps Data?